After a long and heated battle over which version of Spider-Man we would see next on the screen, Marvel announced that it would indeed stay Peter Parker. Needless to say, fans of the Miles Morales character were incredibly disappointed. 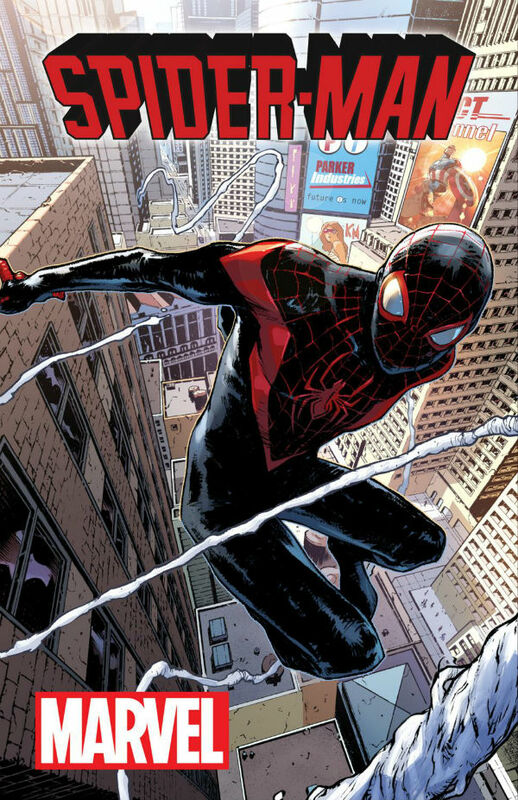 But in an attempt to ease that pain, Marvel has just announced that Miles Morales will be joining the official Marvel Comics universe as the new Spidey in the Spider-Man comics relaunch. Our message has to be it’s not Spider-Man with an asterisk, it’s the real Spider-Man for kids of color, for adults of color and everybody else. The announcement of the “All-New” and “All-Different” Marvel Comics earlier this month promised some changes, bringing in new characters, and changing up the old. Here's the cover for the new series, you can head to NY Daily News for the high resolution version here. It really comes as no surprise that Miles Morales has gained a larger role in the universe, as Marvel has lately been pushing more inclusive material including a female Thor and The Falcon taking over as Captain America. Not to mention one of Marvel’s biggest hits in the past couple years has been Ms. Marvel, a muslim teen girl. I started crying in the middle of the aisle. I realized my kids are going to grow up in a world that has a multi-racial Spider-Man, and an African American Captain America and a female Thor. The first issue of the relaunched Spider-Man will hit stores and be available digitally this fall. Along with Bendis penning the series, artist Sarah Pichelli will be drawing.